Hey everyone! I went away this past weekend so between that and baking for Valentines day, I had a very busy week and was unable to write anything. I wanted to give you guys a recipe, devotion, or something. I just did not have the time but I hope that everyone had a great Valentine’s Day. Last week, I really challenged myself to step up my baking skills and do something that I haven’t done before. I worked with fondant when I did my daughters first birthday cake and in my cake decorating classes but that was it. I decided that I really wanted to create some awesome cakes but I was super nervous about trying it out. People who know me well know that I am a perfectionist and my own worst critic. So I wanted everything to be perfect but I kept telling people I couldn’t do it when I never tried. Yes, I definitely wanted more experience but that was no excuse, especially since I knew the basics. 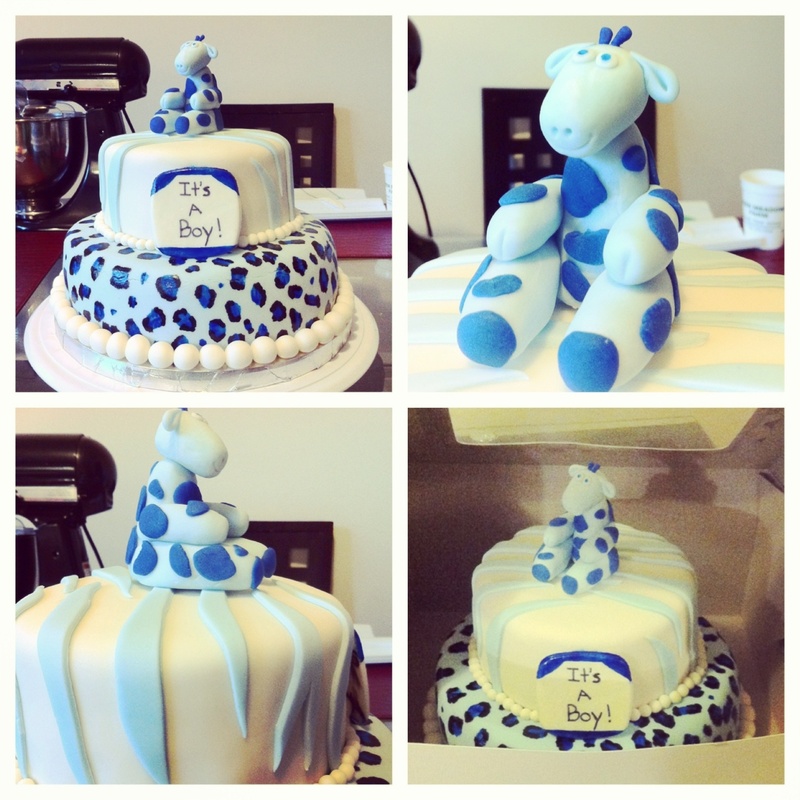 I then got an order for a two tier baby shower cake! I didn’t even know how to tier a cake! Instead of turning the job down as I always do, I took it! Whenever I bake anything I ask God to bless my hands and guide me so that I can do my very best. Then as I was working on the topper of my cake I suddenly grew very confident about the work that I am capable of. My cake ended up coming out very well and now I can’t wait to step out the box and try new things! What do you guys think of it? Has this happened to anyone else? Please comment and share your experiences. let the gift take its course… see the vision and do the vision…sounds easy rite? lol that was with trial and error… faith and no faith.work in purpose thats where the sucess is and the praise which increases your faith..may our father send the increase. I love the words of encouragement Auntie! Especially from someone else who lives this! See the vision and live the vision!